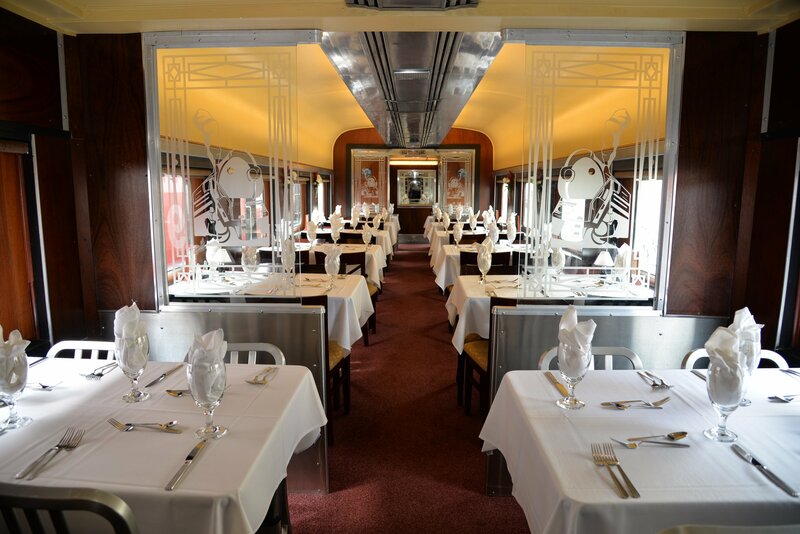 The New York Central Dining Car was ordered by the New York Central in 1945 from the Edward G. Budd Company. 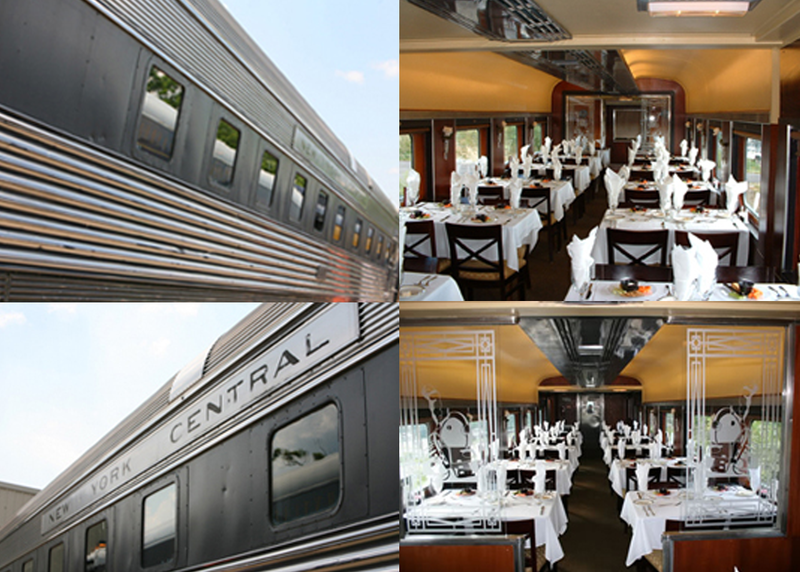 Building of the car was completed in 1947, where upon the car was put into service as a dining car until 1967 when it was retired to work train service. In 1968, New York Central merged with The Pennsylvania Railroad and became Penn-Central. It went on to become Conrail in 1976. 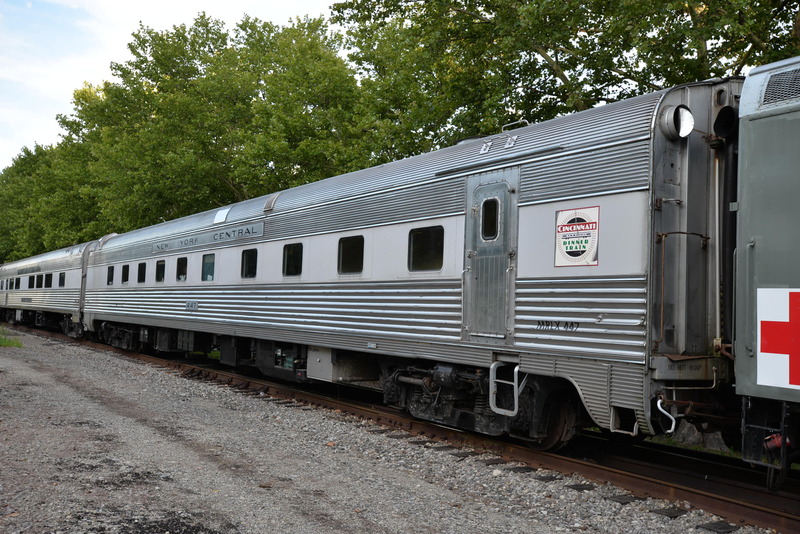 Upon obtaining the dining car Conrail converted the car into a police training car. Conrail was divided between CSX and Norfolk Southern in 1999. The car came under the ownership of CSX at that time and was parked in Waycross, Georgia. CSX sold the car to the Illinois Transit Assembly Corporation (ITAC) in Madison, Illinois in 2000. 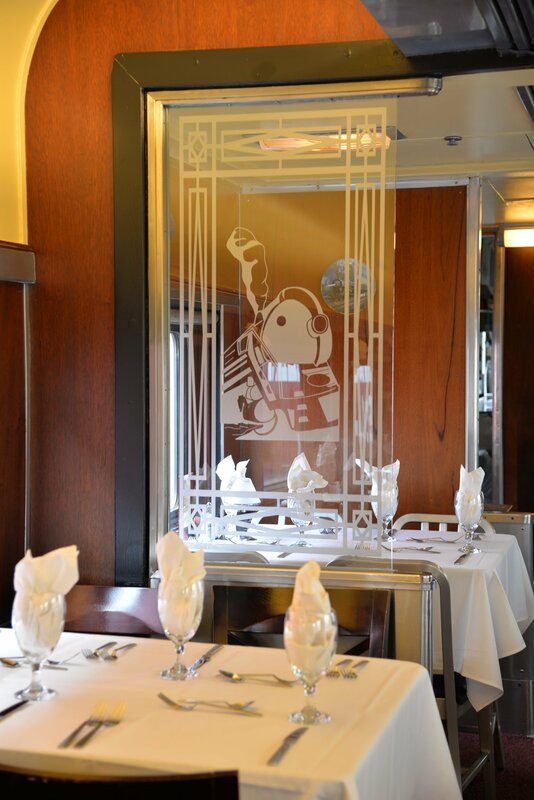 In November 2002, the dining car was purchased by its current owner, Bill Thomas. In 2003, he had the car railed from Madison to Cincinnati. It was then removed from the railroad track by crane and trucked to BBQ Revue’s parking lot. 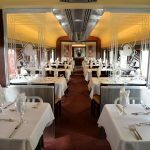 Over the next six months the interior was restored. 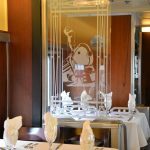 It was then turned into an ice cream parlor in August 2003 and operated as such until its closing in the fall of 2006. In October 2007, the car was craned and trucked out of the parking lot. It was put back on live track and sent back to ITAC which is now Gateway Rail Services. 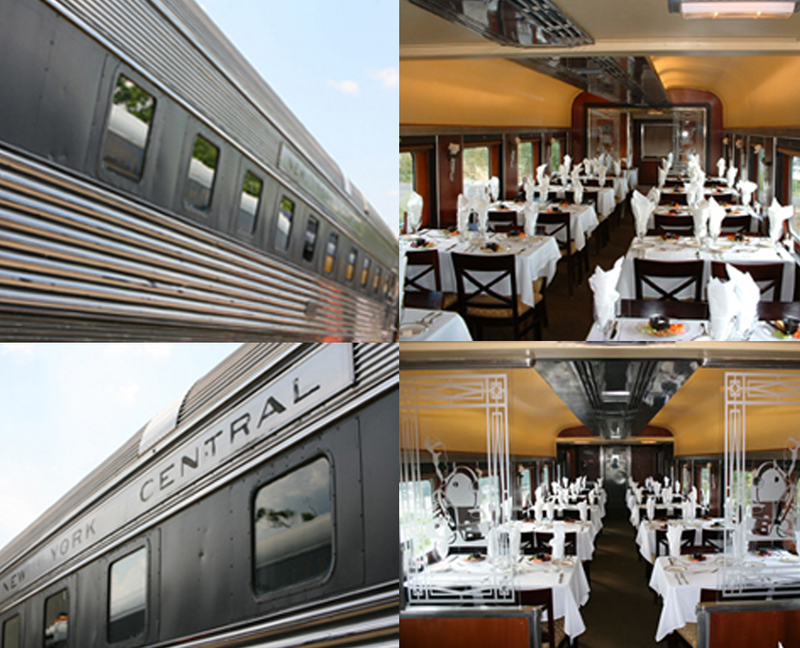 The car returned to Cincinnatii in December 2008 in anticipation of the launch of the Cincinnati Dinner Train in the spring of 2009.